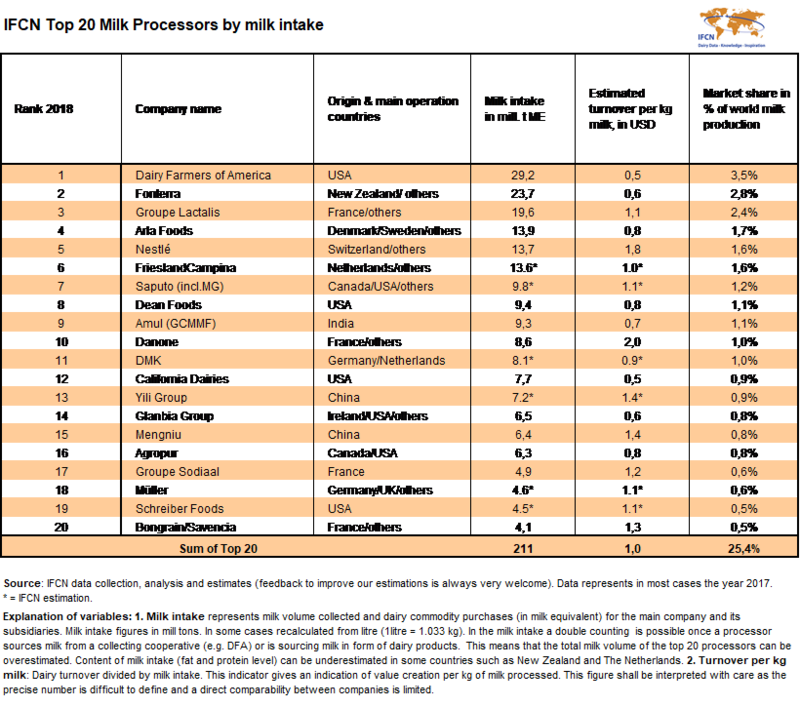 IFCN, the Dairy Research Network, published the IFCN Top 20 list of milk processors around the globe. This list is published every second year and shows the market share of biggest milk processor giants. The top 20 milk processors collect 211 mill ton ME milk, 25,4% of produced milk worldwide. 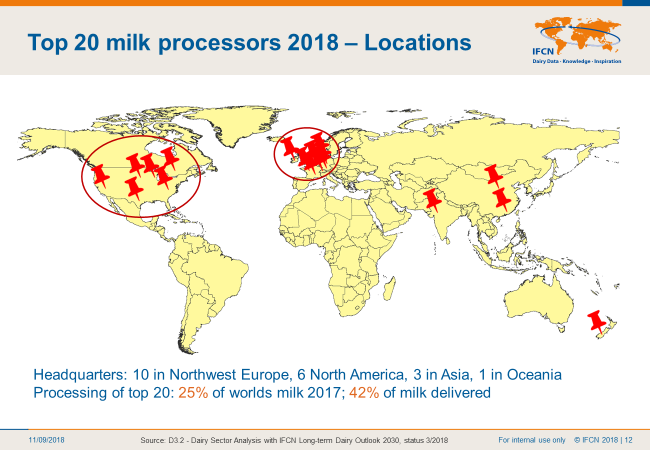 New results from IFCN Top 20 Milk Processors List 2018 shows that 25.4 % of produced milk worldwide is processed from top 20 dairy giants. The total collection of top 20 milk processors rose steadily from 200 in 2015 to 211 million tonnes of milk in 2017. Like the 2016 ranking, Dairy Farmers of America topped the list in 2018 with 29.2 million tonnes milk intake holding 3.5% of the total market share of world’s total milk production.